For online ordering and technical assistance please follow the link below. The Carter's | OshKosh Australia team makes every effort to get your orders to you as soon as possible. The delivery time-frame is within 2-5 working days of the date the order is placed. Outlying or regional areas can take up to 7 days to deliver. All orders ship via Australia Post e-pracel and require a signature upon arrival, packages will not be left at the residence. Free Shipping on all orders - ends Monday, April 15th. Free Shipping for orders of $60 or more. $8.95 flat rate shipping for orders of $60 or less. International shipping is not currently available due to license restrictions. All items purchased from our online store may only be returned for a full refund. We no longer offer exchanges, we only provide a full refund. To qualify for a full refund the you must lodge the return within 30 days of the receipt of the goods. All items must be in new and re-sellable condition with all tags. Once the item(s) is received by our team we'll process a full refund and you may re-order the correct item or size online as you wish. Free return shipping on replacement items will only apply to orders that are over the free shipping threshold during the re-order time. If the item is faulty or different from described by the website - we'll happily provide a full refund and other shipping or handling costs incurred. We currently only allow online purchases to be returned via mail using our online system. You cannot return online purchases in-store. We offer a full refund, exchange or credit on all change of mind purchases with 14 days of the purchase. All returns / exchanges must accompany a proof of purchase or receipt and be new and sellable condition with all sales tags. If the item is faulty or different from described by staff - we'll happily provide a full refund. 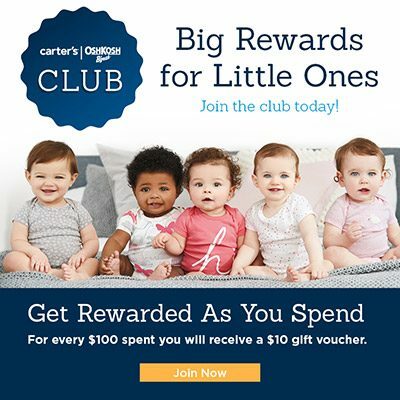 We accept all major credit cards for use in stores and online. We also offer Paypal for orders. We now accept Afterpay in-store and online, for more information please click here. We currently use rapid SSL security to protect all of our valued customer and payment information. 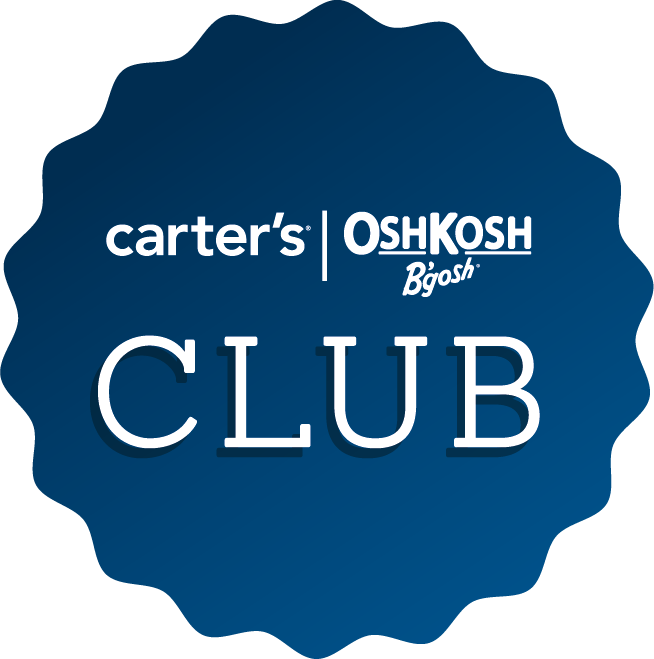 Carter's, OshKosh B'gosh and Skip Hop are committed to providing you with quality products. All our items that are sold through Oshkosh.com.au and stores are covered under a full valid Australia warranty. If you have a product with a quality or manufacturing defect please contact us directly at to make arrangements to return the item.